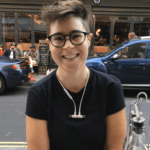 Emma Spruce is a Teaching Fellow in Gender, Sexuality and Human Rights at LSE, where she co-convenes a course on feminist epistemologies with Jacob Breslow. Her research examines the intersections of sexuality, space and place; exploring the movement of sexual politics across scales (from the nation to the neighbourhood), as well as the ways that place and space acquire meaning through narratives of sexuality and gender. The political strategy behind the so-called Grievance Studies hoax is one that is regressive, pernicious and deliberately aimed at taking down critical theorists working in feminism, race, queer and decolonial studies.